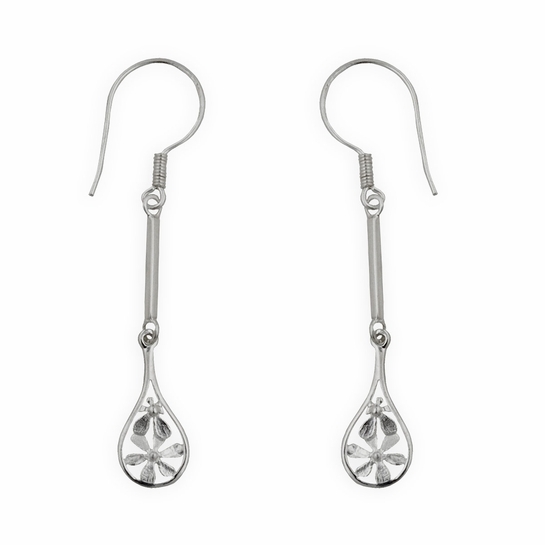 More about FinnFeelings Silver Flowers Hook Earrings Beautiful flowers join petals to create a stunning design on the FinnFeelings Silver Flowers Hook Earrings. Crafted from 100% silver in Finland, this stunning set makes a one-of-a-kind gift or addition to your own jewelry collection. Flower-filled teardrop pendants hang from long silver stems from oversize hooks for a delicate yet dramatic dangle earring.